Perfect for pancake day or any day. 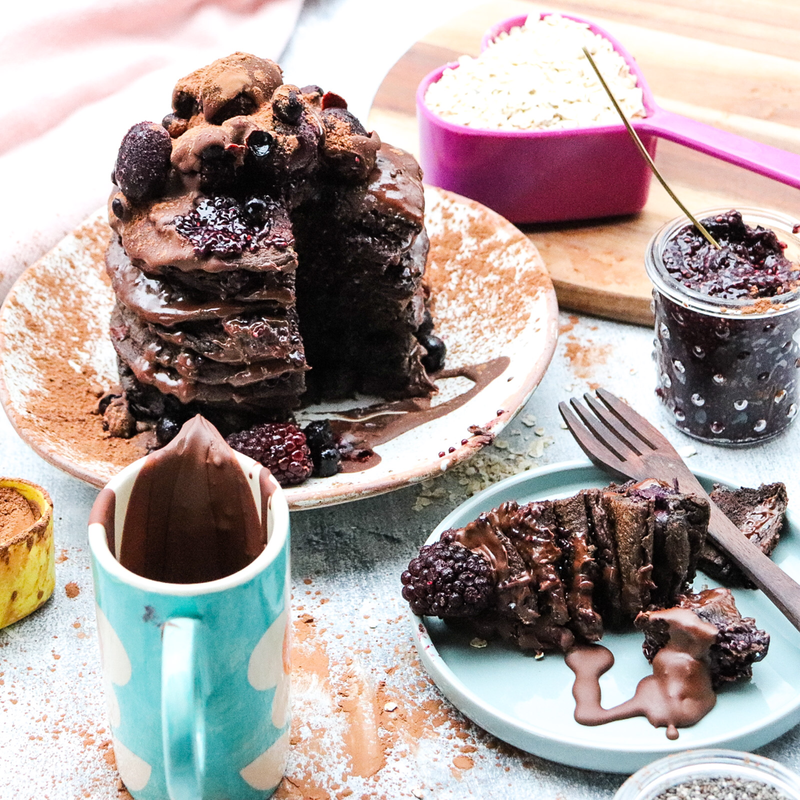 Black Forest & Cacao pancakes. Fancy creating your own sticky chocolate tower? Set the frozen berries to one side and then blend everything together. Leave to stand for 10 minutes. Heat the frying pan to a medium heat and then add a little coconut oil to a frying pan (on a medium heat) & wipe the oil round. Then using a 1/4 cup spoon the pancake batter in to the pan, sprinkle of few frozen berries on to the pancake batter and cook for 2 to 3 mins on each side. Repeat until you have cooked all the batter. Once cooked, place in an oven at a low temp to keep warm. 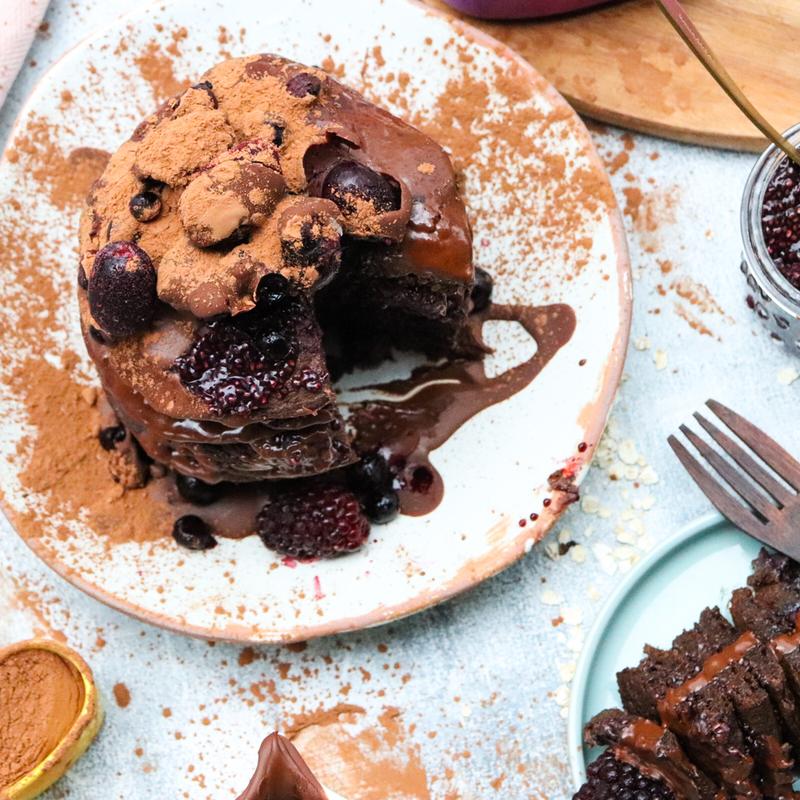 When complete, spread a layer of chia jam between each pancake & cover with melted chocolate. We created these for Blue Diamond and they are totally delicious. Vegan, refined sugar free and a perfect gift valentines gift or just make them to enjoy when ever you fancy a soft chocolate centered nutty treat. Grate the chocolate, on the finest side of the grater, and place in a bowl. Meanwhile pour the Almond Breeze® into a saucepan and spoon in the coconut cream, coconut oil and vanilla extract. Gently warm over a low heat and stir until it has all blended together. Remove from the heat. Then slowly pour the Almond Breeze® and coconut cream mix over the grated chocolate and whisk to combine, until all the chocolate has melted*. Then add the maple syrup and mix together. Set to one-side, leave to cool, then cover and place in the fridge to set. This should take 2 hours. 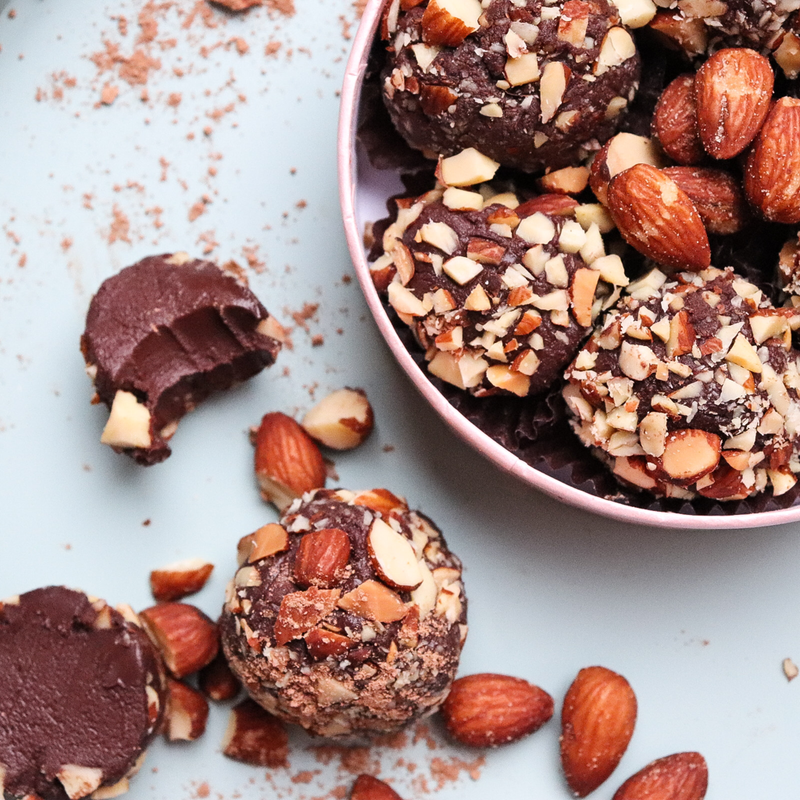 Before removing the chocolate truffle mix from the fridge, take 60g of Blue Diamond Roasted with Sea Salt Almonds and chop them into small pieces, tip these onto a small plate and spread them out. Put out a second plate. Remove the truffle mix from the fridge; use a teaspoon and spoon out a teaspoon-sized amount. Put this in the palm of your hand and gently roll until it forms a smooth(ish) ball. Then carefully roll the ball in the chopped nuts. Once roughly covered, set to one side on the second plate. Repeat this process until you have 9 nut-covered truffles. They are best stored in the fridge in an airtight container – that’s if they last that long! *Adding the warm milk to the grated chocolate will prevent the mixture from splitting. This is a deliciously healthy vegan curry with great richness of flavour. Filled with lentils, roasted squash, peppers and spinach and has wonderful nutty taste. The kitchen is filled with the mouth-watering aromas of curry spices including turmeric and cumin. The recipe includes a blend of Unsweetened Almond Milk and coconut cream that gives a gorgeously creamy curry. 100g of almond flakes lightly toasted. Cover a baking tray in baking parchment. Thoroughly wash and dry the butternut squash then lay the butternut squash on its side and cut into 2cm thick slices. Place the slices on the baking paper, cover each slice with a brush of rapeseed oil then place the 3 garlic cloves on the tray. Place on the middle shelf of the oven and cook for 25 minutes. Once cooked remove from the oven and set to one side. Thoroughly rinse the lentils and put into a pan, place on the hob and pour over 1 litre of water. Bring to the boil and then reduce to simmer for 20minutes, until cooked. Drain and set to one side. Put the almond flakes into a dry frying pan and gently heat until they start to just turn golden in colour. Remove from heat. In a large (ideally flat bottomed) pan, pour in 1 tablespoon of rapeseed oil and warm. Add the chopped onions and allow to soften for a few minutes, add the tomatoes puree and stir into the onions, simmer for a further 3 minutes. Now add the garam masala, cumin powder, corianderpowder and ground turmeric. Stir into the onions until there is a strongly spiced aroma. Tip in the lentils and stir through the onions and spices. Peel and slice the roasted garlic, add the garlic, peppers, coconut cream, creamed coconut and stir in. Then pour over the Unsweetnened Almond Milk. Stir through and then add the cinnamon stick and 3/4s of the toasted flaked almonds. Keep stirring whilst you bring the curry to a gentle simmer. Leave a spoon in the pan and rest the lid over the curry. Cook for 15 minutes, stirring occasional to make sure the curry doesn’t stick. Mean while roughly chop the fresh spinach leaves and slice the roasted squash into cubes. Whilst stirring make sure the creamed coconut is fully blended into the curry. After 15 minutes stir in the butternut squash and the spinach, stir, replace spoon and lid and cook for a further 10 minutes, until the spinach leaves are soft. The curry should have a thick, creamy texture. Serve with rice, a scattering of toasted almond flakes, fresh chillies and fresh coriander leaves. 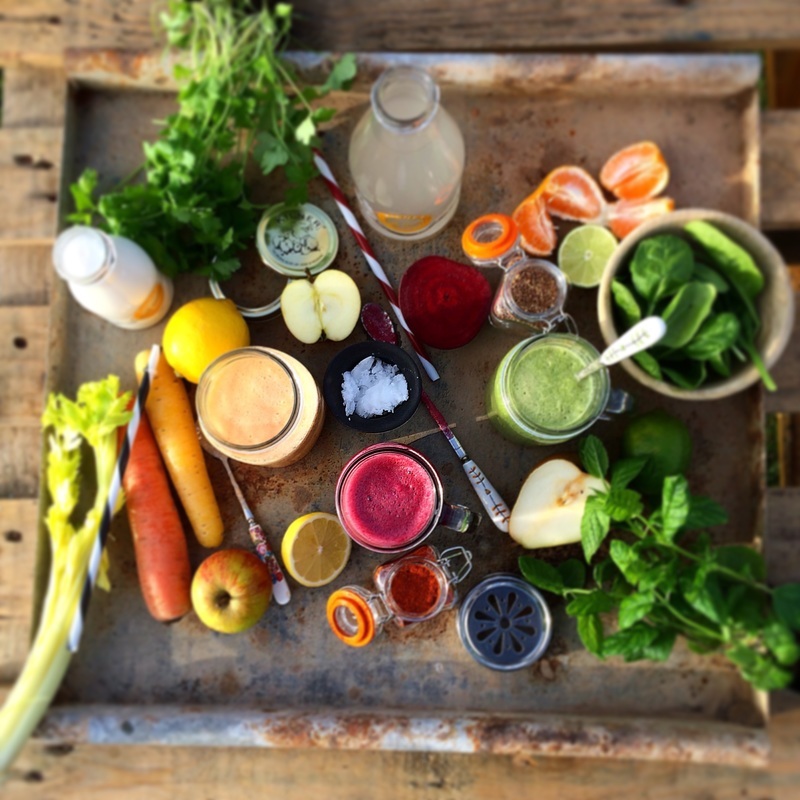 To be the first to hear about our healthy twist on your favourite recipes join our newsletter. Need a breakfast to perk you up in the morning? 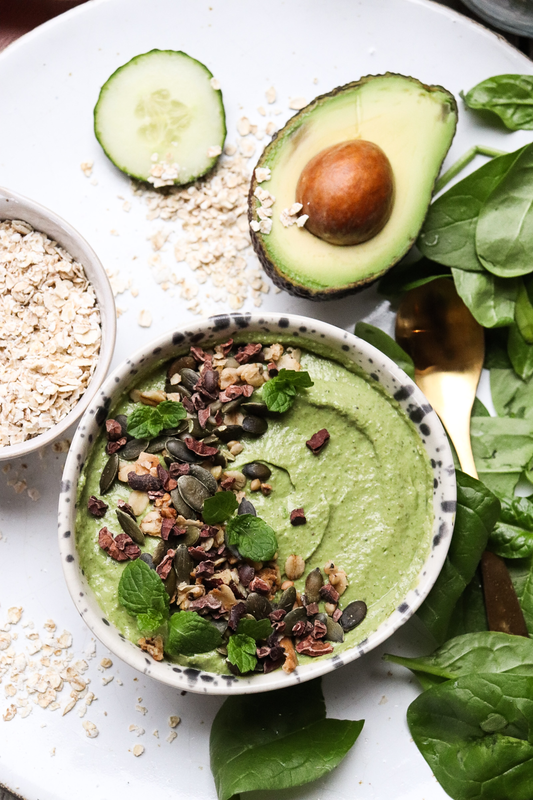 This dairy free, wheat free Smoothie Bowl will do the trick! For more deliciously Healthy Twists on your favourite foods sign up to our newsletter. Nothing but green goodness this morning! Made a smoothie bowl with the ingredients but if you’d prefer a green smoothie just add more nut milk. Blend until smooth, thick and creamy. Topped with a sprinkle of granola, pumpkin seeds and cacao nibs. It is hard to beat some of the original combinations. So frequently you’ll find our smoothies based around them. Beetroot works so well with berries and always blends with chocolate- we’ve used cacao powder. Then cover in toppings until your hearts content. Enter your email for more Healthy Twists on your favourite recipes. 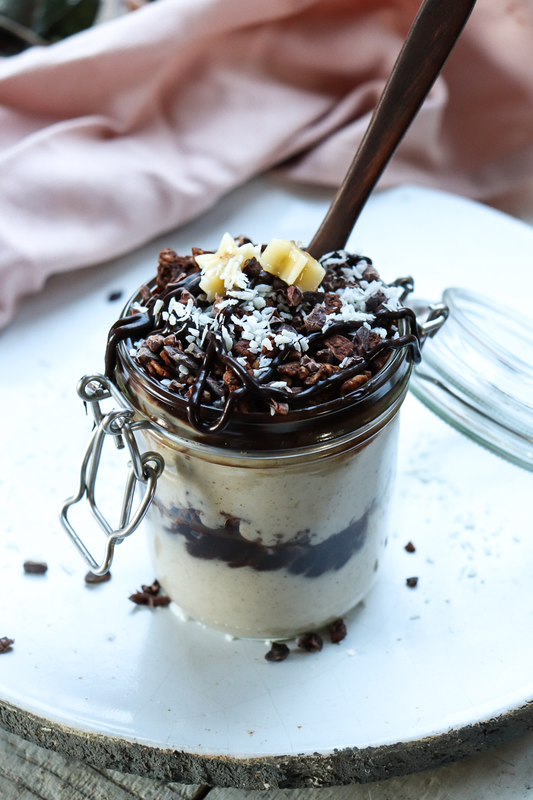 Coconut & Chia Smoothie Pot with a Tahini twist & Chocolate drizzle. This is a gorgeously creamy coconut smoothie. It’s a delicious blend of coconut yoghurt, soaked chia seeds and banana with a teaspoon of tahini and a touch of vanilla. Dairy free, wheat free, refined sugar free. Place 3 tablespoons of chia seeds in a large jam jar and fill 3/4s full of plant milk, stir, screw lid on and then shake. Leave over night in fridge or for at least 3 hours. We like to make a jar at the beginning of the week. Place the banana, cococnut yoghurt, tahini, dessicated coconut, vanilla and chia seeds into blender in high until smooth. Spoon half into a jar, add a drizzle of choc shot & a layer of cacao granola, then spoon over the remaining smoothie mix. Top with more granola, a sprinkle of cacao nibs, dessicated coconut and a further drizzle of choc shot. Find a spoon and dive in. 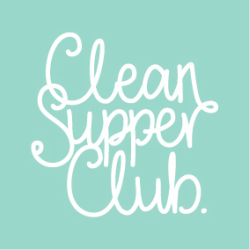 To find out our latest news & recipes join our newsletter. A rich and nourishing flavour filled vegan chilli. Brimming with pulses, spice, veggies and a dash of cacao. This is a heart-warming winter one-pot that’s easy to prepare and ideal to make ahead – its also a perfect freezer fall back. Peel and finely chop the onions, carrots, celery and garlic. Place a large casserole pan on a medium heat; add the rapeseed oil and the onions then gently heat until they start to soften. Then add the carrots and celery and cook for a further 5 minutes. Add the cumin, cinnamon, coriander and tomato purée; stir into the vegetables for a couple of minutes until the spices give off a lovely aroma. Then add the garlic, a pinch of salt and a good grind of black pepper, then the mustard powder, drained chickpeas, black beans and kidney beans. Stir thoroughly and pour in the tinned tomatoes and water. Stir again and bring to a boil - then reduce the heat to a simmer. Place a wooden spoon into the pan then cover with the lid, leaving the spoon handle sticking out to keep the lid ajar. Gently simmer for 20 minutes stirring occasionally. Add the cacao powder and coconut sugar, stir until thoroughly combined and then continue to simmer with the lid ajar for a further 25 minutes, stirring regularly. Enjoy with rice or on its own, topped with fresh coriander, sliced avocado and freshly sliced chilli. 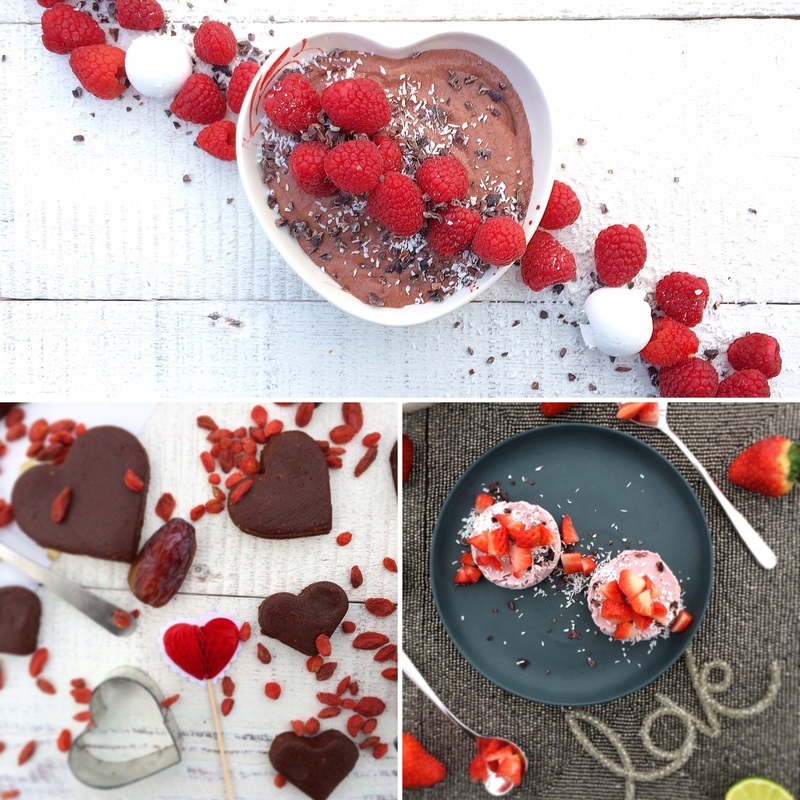 Recipe created for Natures Heart Superfood, using organic cacao powder. A delicious shot of smooth, rich dark chocolate with a hint of Clementine is the perfect way for any chocoholic to round off a festive meal. Filled with the health boosting benefits of cacao, bee pollen and maca powder – your guests will never know their dessert is doing them good. Refined sugar free & vegan. Gently warm a bain marie, pour the maple syrup into the glass bowl and warm. Once the maple syrup is warm, sieve in the cacao powder & Cacao Super powder and stir into the maple syrup until the chocolate mix is smooth and glossy. Squeeze the Clementine juice into the chocolate mix and stir in. Remove bain marie from heat. In a separate bowl stir the coconut cream until it is smooth. Then add to the chocolate mix. Stir together until completely combined and the mixture is silky smooth. Spoon the chocolate mix into the shot glasses, sprinkle with cacao nibs and a Clementine zest star. Place in the fridge until you are ready to serve. This recipe was created for Nature's Heart Superfood. Sign up to our newsletter for our latest recipes.